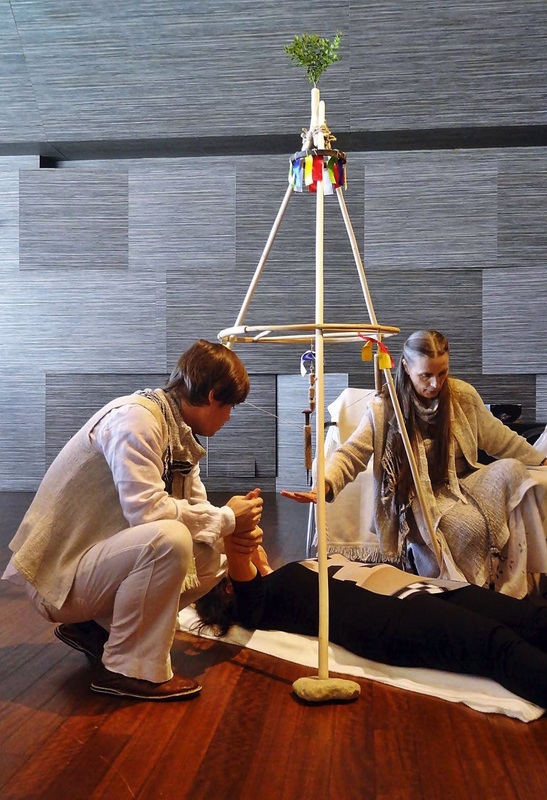 Exceptional cosmic sound-energy surgery, a rarity in the world, is performed by energy-sound therapists Mirit and her son Tine, with the support of spontaneous (channelled) sounds (Vedun Ensemble). Mirit and Tine are mediums for the transmission of Universal life energy into the material world. They channel frequency-sound vibrational gifts, which people need for their balance. They draw these gifts from the Source of life, from the Universal Intelligence, the 'cosmic soup' – from the symphony of the frequencies of the Universe and the Earth. Surgery takes places on all levels of the body and spirit, it dissolves emotional-mental and energy blocks and, as a consequence, harmonises the physical body. It eliminates the destructive effects of stress and restlessness. It accelerates spiritual growth, which enables us to receive clear thoughts, necessary insights and visions for everyday life. You can join us every 1st, 2nd and 3rd Thursday in the month. Mirit and Tine occasionally perform sound-energy surgery with the support of the ancient Slovene energy transceiver – TROJAK, which helps channel and condense Universal life energy into the physical world (and into bodies). This is also what Nikola Tesla was engaged in. Tesla created various devices for the same purpose, however, human consciousness and the body are extraordinary transceivers of life energy. The aim of Veduna surgeries is above all to facilitate intense relaxation and self-harmonisation. They are intended for anyone who wants to dissolve the destructive effects of daily stress, imbalances within their spirit and body, as well as emotional unrest and problems. For those who want to attune themselves and their life into harmonious co-existence. When relaxed and at peace with ourselves, we are smarter, thoughts flow more clearly, our senses are keener, our reactions are sharper and life energy flows freely. This is very important for our well-being, our health, harmonious relationships and for the establishing of abundance. Mediums Mirit and Tine channel the high-dimensional audible and inaudible vibrations of Primordial life energy, along with messages for people. Sound-energy surgery supports people’s search for balance and self-healing, it accelerates spiritual growth and awakens our dormant abilities and talents. BRING WHITE CLOTHING, A WARM MAT, SLIPPERS AND BLANKETS OR SLEEPING BAGS TO LIE ON DURING THE SESSIONS. NO NEED TO REGISTER IN ADVANCE FOR SURGERIES, SIMPLY TURN UP. WHAT KINDS OF SURGERY ARE THESE AND WHO PERFORMS THEM? We live in times of ever more rapid and unpredictable change. We are all hungry for peace and insights – how and what to change so that life will unfold in a lighter way, so that we can attain happiness, health, harmony and well-being. However, all of that has been sought by many who lived before us, above all by sages of different cultures, living in distant times. They shaped knowledge, techniques, aids and tools, which have unfortunately been forgotten or recklessly thrown aside during the recent years of ‘modernisation,’ even though all these knowings and achievements would in fact serve us well, as they did our predecessors. We are not so very different from those who lived hundreds, even thousands of years, before us. At their core, the laws of living are the same and pretty immutable everywhere and in all times. Cosmic-earthly laws are permanent. Mira Omerzel - Mirit, who has a Ph.D. in musicology and a bachelor’s degree in ethnology, is an energy-sound therapist-surgeon, a medium and a pioneer of both ethno-archaeo-medicine musicology and research into the power of sound. She is also a spiritual teacher, free-lance researcher, writer, as well as a seer and healer in the footsteps of her grandmothers. For decades, Mirit has presented the interesting and precious ancient heritages of different cultures. She connects theoretical and practical knowledge, science and spirituality, artistic and healing tools, and the spiritual legacy of past eras into a unified wisdom of (co-)existence – the knowledge of the past for the present and future. For a better tomorrow! 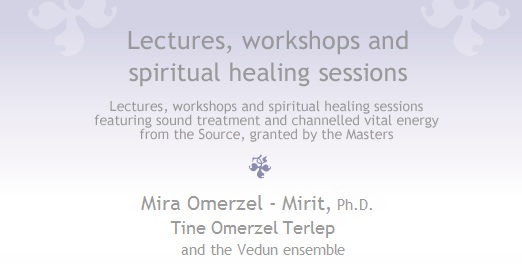 At Veduna surgeries, together with her son Tine Omerzel Terlep, Mirit has been reviving effective ancient methods for harmonisation and (self-)healing. Tine, an M.Eng., is a music therapist and medium, who has inherited a lot of knowledge from his mother. Including the miraculous cosmic surgery, the likes of which are still practiced for example in Brazil and the Philippines, as well as harmonisation by means of the ancient Slovene TROJAK – a transceiver of life energy. 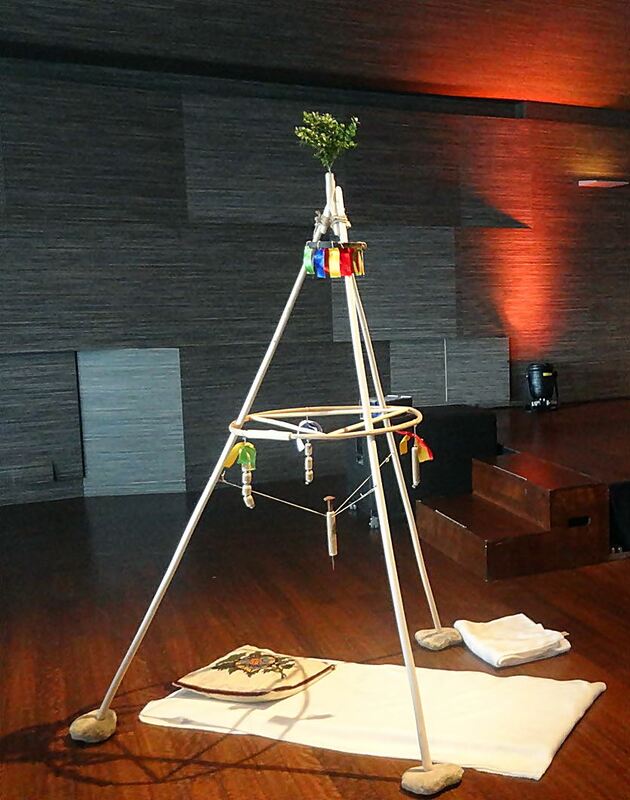 Mirit presented a trojak to the public for the first time in February 2017 in the Cankarjev Dom Hall (at the DAO YAH festival). 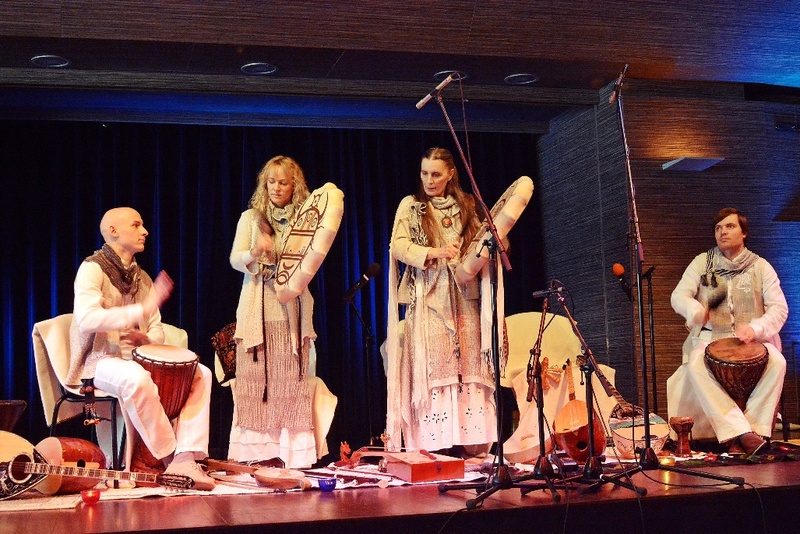 Exceptional, globally rare (three-fold) cosmic sound-energy surgeries (as well as unique surgeries with the trojak) are performed by Mirit and Tine, with the support of the harmonising sounds of the musician-therapists of the Veduna School and Ensemble. Mirit and her son Tine are cosmic surgeons and mediums, who channel into the material world Universal life energy, which is nowadays acknowledged by contemporary astrophysics and quantum mechanics. They channel frequency-sound vibrational gifts, which people need for their balance. They draw these gifts from the Source of life, from Universal Intelligence, the 'cosmic soup' – from the inaudible omnipresent energy Field, from the inaudible symphony of the frequencies of the Universe and the Earth. We depend on this barely perceptible physical-vibrational Field, which shapes and nourishes us, which gives us strength, which harmonises, sustains and attunes us. This invisible and bloodless surgery cannot be acquired through learning. Its miraculous wisdom is as old as humanity. You are chosen for it. Today it is performed only by a handful of chosen people, notably in Brazil and the Philippines, to which those who need help flock every day. Mirit and Tine participated in those surgeries and today they work independently in Slovenia. Mirit and Tine also revive effective ancient healing techniques, including those of the Slavs, such as harmonisation under the trojak. These techniques are no less interesting and successful than Chinese medicine and ayurveda. They have been tested on our territory and on other continents by countless generations of seers and healers, which is what makes them quite successful. The ancient Slovene TROJAK is a simple and interesting device from Western Slovenia, used to channel cosmic, Universal life energy into the physical world. Information, and a plan for it, was documented by the researcher Pavle Medvešček Klančar before WWII (a replica was crafted by Peter Mignozzi). The trojak is a simple, yet effective device, which helps healers channel life energy into the physical world and into the bodies of diseased people. It is a distinct transformer of life energy, a special tool for healers, or a help in their harmonisation and healing sessions, as well as when seeking. With the help of the trojak, healers more rapidly receive and condense primordial life energy, and they also direct it faster onto physical and spiritual levels. The trojak is an extremely simple and effective tool, developed by our ancestors, used to foster a rapid transmission of the frequency-energy waves of the primordial cosmic energy of life into the 3D world. Under a trojak, under the hands of the two mediums, or when working at distance (without touch), accelerated (self-)harmonisation and (self-)healing unfolds. 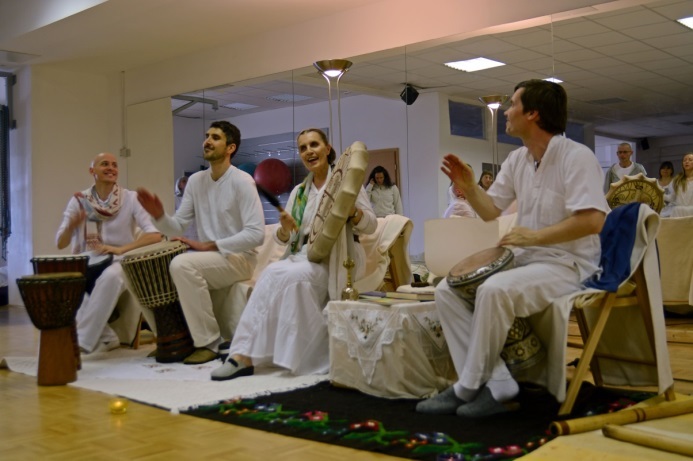 AT VEDUNA THURSDAYS, COSMIC SURGERY IS USUALLY PERFORMED WITHOUT THE TROJAK. WORK WITH THE TROJAK IS INTENDED FOR SPECIAL OCCASIONS. Since the Big Bang, the Universal energy of life has been ceaselessly undulating through time and space, through countless universes, through our universe and solar system, nourishing and shaping innumerable forms of life and all beings. But a trojak is not necessary during a Veduna triune cosmic energy-sound surgery. However, working with it is an interesting demonstration of the ingenuity of our ancestors and at the same time proof that energy work has been known for ages. Primordial harmony and current disharmony meet. An infusion of such primal energies is beneficial and crucial for both humans and nature. Without it, there is no life. For the benefit of humankind, the physicist Nikola Tesla endeavoured to ‘capture’ the cosmic energy of life by means of complex devices. With his devices, he wanted to capture the omnipresent life energy, which everyone can attain and in which we all are actually swimming. But Tesla was stopped by the profit-oriented mindset of our times. This primal pulsing, this Ancient Radiation (Primordial Sound), which has been undulating through countless universes and all life forms since the very first impulses of the phenomenal world, has also been called the divine boundless Ocean in different cultures. The Ocean of Consciousness. The Source. The First Principle. And it is the same today, everything is co-oscillating, resonating in the Universe of frequency and sound, in the undulation of primal life energy, which was triggered at the creation of the Universe, enabling life. These concealed cosmic vibrations continue to undulate and ‘resonate’ in everything that exists. In every being. Everyone needs them. Without them, the body is dead. We can even hear this oscillation (sound)! Light is sound and the primordial energy of Creation at the same time. We speak of the light or the energy of sound waves – about the sound of light. About the primordial energy of life. With the trojak or without it, human consciousness expands during a Veduna three-fold surgery. And our consciousness then knows, sees, hears and recognises far more than ordinary (narrow) consciousness. Harmonisation takes place on all levels of a being. The hands and look of the mediums – or the trojak – influence everything. Including those who are merely bystanders. But the effect of every surgery above all depends on the conductivity of the healer who is working with the trojak, and of course on the degree of openness of the person being healed. What is more, the presence of beneficial sound additionally enhances the power of the device or the power of healing hands and eyes. The three-fold (cosmic/energy/frequency-sound) surgery (with trojak or without) channels Primordial, Primal energy. Without it, there is no life, no harmony in the physical world. Co-oscillation, or resonance with the energies of the Primordial is of course the most powerful and most effective tool for (self-)healing and reshaping: it always unfolds only in the direction of improvement: from imbalance to balance, from diseased to healthy etc. This triune wholeness was whispered about not only by the wisdom of a distant past and by awakened souls of all times, but also by more recent physical and astronomic science (and Nikola Tesla!). Mirit’s and Tine’s Veduna three-fold surgery, or the transmission of this precious and important primordial elixir of life takes place on all levels of the body and spirit. It dissolves emotional-mental and energy blocks and, as a consequence, harmonises the physical body. It eliminates the destructive effects of stress and restlessness, expands consciousness and accelerates spiritual growth. All of that enables us to shape ever clearer thoughts and to receive necessary insights and visions for everyday life. What is more, rich creativity expands and strengthens.